Cryptocurrency Weekly - Is Verge on the Verge of bigger gains? Hey everyone, I am back. I know a lot of you like my photo smiling in my last blog. Some of you even mentioned that I looked “HIGH.” No, I was NOT high. Anyhow, one of my passions in life is to use data analysis on investments and stuff that relates to risking money. If you read my first post, you will know that I was a successful online poker player and sports gambler. But all of that gambling stuff wore me out and I am tired of it. Cryptocurrency appears to be the new investment where a slight minority of people are becoming wealthy. Pundits are in agreement that there is huge upside potential that could make even more people wealthy. So what is preventing the majority of everyday people from investing in cryptocurrency. I know from my brief study of markets it is not a good sign for everyday people to have investments in cryptocurrency. And this is why. When the majority of people have investments in a new security, like cryptocurrency, this is a sign that the investment is overbought and due to a correction. Basically, when everyone has their money in the investment, there is no more money that can push the investment higher and thus there will be more sellers than buyers. So let’s get to the next question. How much of my overall portfolio should I put in cryptocurrency? That really depends. You see, I am not an investment advisor and do not plan to be an investment advisor in the near future. I am just a guy who is excited about the possibilities of earning a massive amount of money in cryptocurrency. In a way, this is a disclosure for all of you reading this post. My analysis and speel on cryptocurrency is NOT in any way a recommendation. This means that you should read about my analysis and come to your own conclusion. One thing I do promise is that my analysis is going to be logical, based on sound mathematical principles, and have theoretical clout among data analysts. This is a difficult question to answer. A lot of us DO NOT have an investment advisor whatsoever. But we know from experience that we should diversify our assets so that if one investment fails others will, in a probability sense, will succeed. Diversity in assets is a good thing as one in so many investments will do awesome and could possibly make us rich. • How close you are to retirement. • How much money your portfolio is. • How risk tolerant are you. • Your financial plans and goals. To put it in other words. I do not know. Do not ask me for financial advice. Please treat this post and subsequent posts on cryptocurrency as a newsletter that is very entertaining. What Cryptocurrency are You Investing In? I spent the last two days compiling information about cryptocurrency and came up with my first analysis on the subject. I do not own cryptocurrency at this point but I plan to purchase some in the next few days based on my analysis. I believe in putting my money where my mouth, or my keyboard is. In my first analysis I wanted to know what the best portfolio is based on high risk/reward and low risk with a reward. To put it another way, I put together an analysis based on high risk and low risk. I found out that there are certain cryptocurrency “save havens” out there. The analysis is very sophisticated. Lets talk about the analysis briefly. I came up with the following criteria just so that I can have enough data to work with. • Cryptocurrencies analyzed must have at least three years of data. • Cryptocurrencies must have a market capitalization of at least one billion dollars. • Cryptocurrencies must have price and volume data. There is the list. But lets talk about the analysis even further. I took the data from these cryptocurrencies and put them into an Excel spreadsheet. I separated the data by quarter and figured out their rate of return per quarter. From there I calculated the average return, standard deviance, and variance. Remember, that standard deviance and variance is a measure of risk. • What can you purchase with verge? • Can you transfer verge into other cryptocurrencies like Bitcoin? • Are there other verge investors that posted about the investment? • Are those verge investors satisfied? Since cryptocurrency market caps are a fraction of other investments such as bonds, stocks, and Forex you should be a more skeptical then traditional investments. Other than that, I will throw a 20 dollar bill at this investment just in case it flies through the roof. In the cryptocurrency world the following portfolio would be considered a low risk portfolio given the criteria mentioned above. Now, you might say, “There is no such thing as low risk in cryptocurrency! Everything is high risk.” But, remember, that my analysis is on investments in cryptocurrency only. If I were to manage my own portfolio I would invest 10% of my portfolio in cryptocurrency. Of that 10% I would invest according to the low risk model fitting in the high risk as well. Data analysts have a similar model to what I have when they analyze the stock market. Data analysts usually update their portfolio ever time the model changes the preferences on what to invest in. This is why having the analysis itself is important so that changes can be made periodically. I will, at some point, will do a video on the excel file. 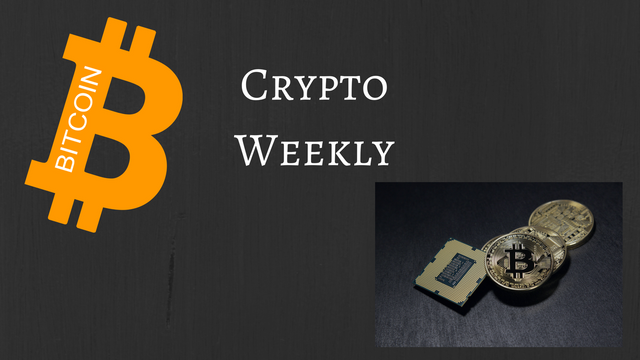 There is more analysis to come as I continue to look at cryptocurrency every week. We will look at cryptocurrencies at every angle possible. Click on follow and get notifications when new content arrives.